Around 38 million Americans suffer from migraines, often brought on by triggers such as hormonal changes, lack of sleep, certain types of food or weather changes. But there is good news for those 38 million people – some relief may be here! 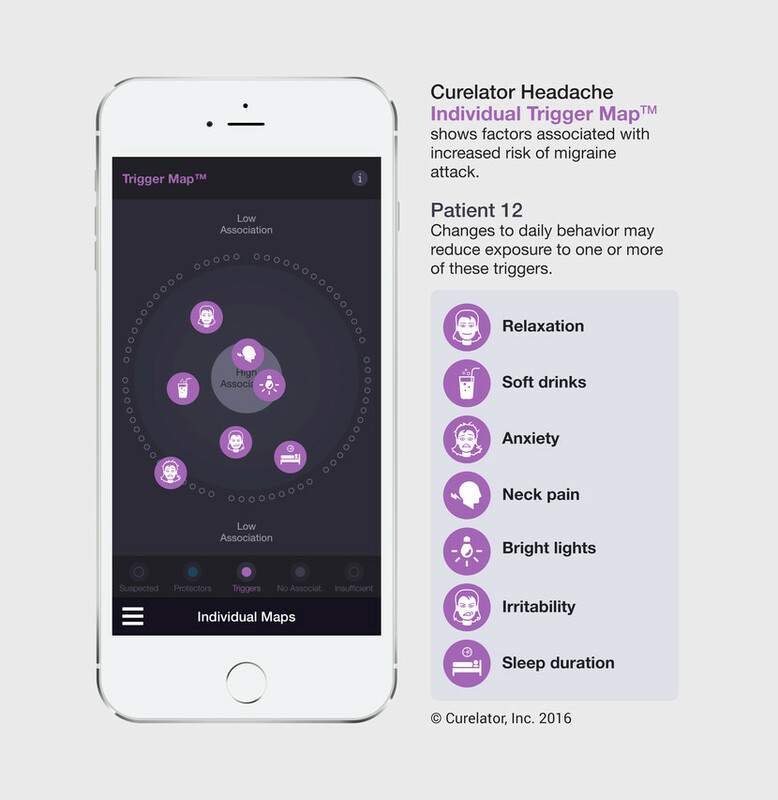 Curelator Headache is a new app that can identify personal triggers and rank them by importance. It can also help by pinpointing behaviors that protect against an attack. David Dodick, director of headache medicine at Mayo Clinic, says apps like Curelator are more likely to benefit people whose migraines occur when several triggers stack on top of each other. Have you used one of these apps? Share with us and your friends! Around 38 million Americans suffer from migraines, often brought on by triggers such as hormonal changes, lack of sleep, certain types of food or weather changes. I’ve been using this app for about 2 years now and find it really helpful. Definitely the best app i’ve used to date. The feedback I’ve received from the app is the most useful data I have and its way more accurate than the diaries I’ve kept in the past. Its really helped me work out what things in my environment are affecting my migraine and confirms that its usually not just one trigger but a combination of things. Realising just how much my mood changes can be a warning sign is also really helpful to know. I also like the fact that the developers are listening to user feedback and updating and incorporating changes and requests. I love the blog posts they publish with updates on the findings. Its reassuring to read about other users and see how they are affected in similar ways to me.